Free shipping to United States with $50 purchase from ArtGalleryRVA. See item details below for sale terms. Email me YOUR PHOTO(s) and I will hand cut a Portrait from them for You. It must be a full size digital image right out of your camera. Your choice of Vintage Old Fashion Silhouette profile or a face on Portrait. If you have a special request or idea I will do my best work with you. FREE domestic shipping on your order of $50.00 or more. 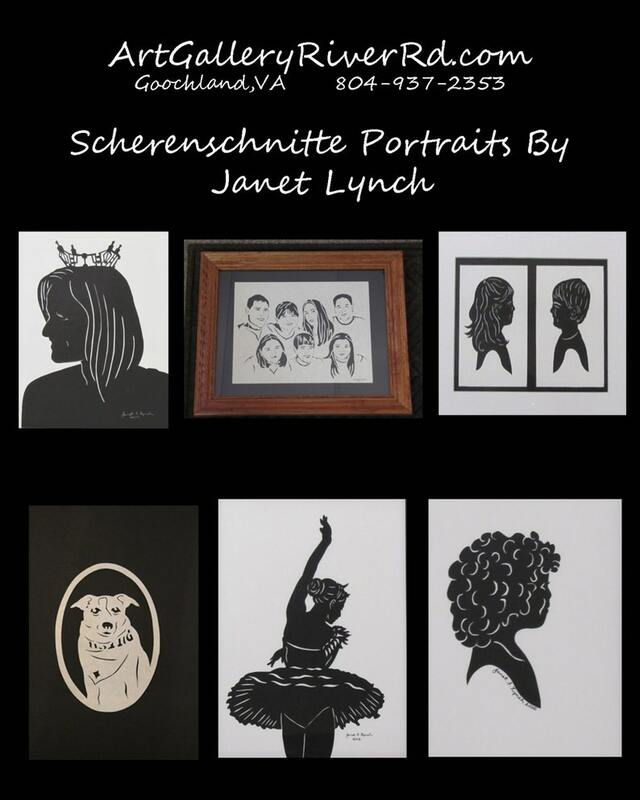 My mom has scherenschnitte portraits of her mother, herself, and me. She’s been wanting similar portraits of my daughters to add to her collection so I ordered one of both my girls together. This will be a perfect Xmas present for her! So happy. Beautiful picture. The store owners helped expedite this and get it to me in a very quick time. My experience with this gallery was lovely from start to finish. Mrs. Lynch is an extremely talented artist. I intend to purchase more of her work without question. My only issue is narrowing down my choices. I want so many! A truly perfect art product and experience from order to packaging. Bravo! We accept Paypal, Debit Cards, Credit Cards and Etsy Gift Cards. Sales Tax Is Added To Total Purchase Price For Virginia Residents. This Tax is not included on Shipping Cost. With the EXCEPTION OF CUSTOM AND ON SALE ORDERS If you are unhappy for any reason you may return your purchase in original condition and packaging within 7 days for a full refund. You are responsible for return shipping charges. WE CAN NOT GUARANTEE DELIVERY DATES. IF YOU CAN PICK UP LOCALLY IN RICHMOND VA MESSAGE US TO BE SURE WE HAVE THE PRODUCT READY OR CAN STILL GET IT MADE BY FRIDAY MAY 10TH. WE CAN NOT GUARANTEE DELIVERY DATES. IF YOU CAN PICK UP LOCALLY IN RICHMOND VA MESSAGE US TO BE SURE WE HAVE THE PRODUCT READY OR CAN STILL GET IT MADE BY FRI APRIL 10th and then USE COUPON code : PICKUPRVA and no shipping charge will be added. Your shipped package will be sent in a protective sleeve and stiff cardboard via first class mail. Tracking numbers and insurance are included in shipping costs with orders within the USA. All prints are printed on professional paper with professional inks in a beautiful lustre finish. All Photo Prints are made once your order is paid for and will take 5-7 business days. Please allow additional 5-7 business days plus shipping time for all custom or matting and framing orders. Need it in a hurry? Message Me. Expedited shipping may be available for an additional charge. Any additional expenses imposed by customs are the buyers responsibility. We're happy to ship worldwide! We ship via First Class International mail. Shipping times vary greatly with First Class Int., please keep in mind that 2-4 weeks is the average shipping time. Mats and Frames may vary but will always compliment the Art. Your prints will be much clearer than what you see here. These are uploaded as a very low quality file to help deter image theft. The watermark that appears on my images will not be on the prints you order. We welcome wholesale inquiries, please contact us for info.